Phipps Conservatory and Botanical Gardens has been connecting visitors to nature since 1893. As part of its commitment to human and environmental health, Phipps supports climate stability by reducing greenhouse gas emissions directly through our buildings, operations and research, and indirectly through educational programming. Phipps has reduced its carbon dioxide emissions since 2005 by 56% per square foot, embraced 100% renewable energy through on-site generation, renewable energy credits and carbon offsets, and erected several of the world's greenest buildings, including the Center for Sustainable Landscapes, the only building to achieve four of the world's highest green certifications. Solar power in use at Phipps and the green roof at the Center for Sustainable Landscapes. In a 2016 survey, Phipps learned that nearly nine out of 10 of its guests consider climate change a threat now or in the future. With nearly 500,000 people visiting Phipps annually, a question emerged: How could we mobilize our friends and neighbors to take action? Pennsylvania allows its residents to choose renewable energy; they just need the information, assistance, and motivation to do it. With that in mind, the first step in the process was the January 2017 launch of the Make the Switch at Phipps! Green Power Drive, a program allowing guests to switch their home electricity to 100% green power right on the spot and receive a free Phipps membership. Geographic Reach: The initiative is largely concentrated on the Pittsburgh DMA (designated market area), a 1.1–million household region including Allegheny and 13 other surrounding counties, but is open to any Phipps visitor who is a resident of Pennsylvania or New York. Accessibility: The program is made available through a kiosk open daily within a cultural institution. Sustainability: The program is easily sustained, and can be continued in perpetuity as long as there are new customers to take advantage of the offer. Cost-effectiveness: Through a partnership with Green Mountain Energy, Phipps is selling memberships in bulk and at a discount, which makes the cost-to-benefit ratio effective for all parties. The benefits of the Green Power Drive extend to Phipps, Green Mountain Energy, and visitors alike. Phipps gains new members who can be enticed to renew their membership the following year; Green Mountain Energy gains new customers for the small up-front cost of a bulk-rate membership; and the guest receives a new level of access to the conservatory and the satisfaction of having made steps toward a more sustainable lifestyle. Any museum, garden, or other environmentally-focused institution could partner with a green energy company to make a similar offering, and Phipps has promoted this program through the American Public Gardens Association and American Alliance of Museums in the hope that others will follow our lead. Beyond promotion, the initiative actually shifts users from unsustainable energy sources to renewable sources, expanding the market for green energy in turn. In a display at the entrance to Phipps, 16 oil barrels provide a visual representation of the amount of CO2 guests can prevent from being released into the atmosphere annually by switching to renewable energy. Because it is concentrated on a local geographic area, Make the Switch at Phipps! is a prime example of community-based resilience, one in which a region's cultural institution sees a need within the community it serves—in this case, a direction to take to help address climate change—and compels action on the individual level. By switching to green power, a family makes a first critical step toward a more resilient way of life, and through their new membership to Phipps, they increase their access to a resource for reinforcing the importance of green and healthy living. Since January of 2017, more than 1,600 guests have switched their electricity. Powering the average Pennsylvania home emits about 8 tons of CO2 annually; at the end of each year, these guests will have prevented 12,640 tons of CO2 emissions. Excitingly, these same guests are now turning to Phipps to learn what they should do next. With this in mind, Phipps is about to launch Easy Steps with Big Impact for Climate Change, a resource that positions our staff members as the voices behind ten simple, effective recommendations for sustainable living. Phipps innovated a mutually beneficial synergy between itself and a green power provider, creating a new model which had not been previously established. Quantitative results are measured through our membership department, while qualitative surveys are gauging audience reactions as the project continues. The audience receives increased access to the Phipps educational experience while making steps toward a more sustainable lifestyle. Make the Switch at Phipps! was recognized with a 2017 Leadership in Green Power Education Award by the United States Environmental Protection Agency and Center for Resource Solutions. This was the first award the project received. Sustainable Buildings Industry Council (SBIC) Beyond Green Awards, High-Performance Initiatives 2017. Prior Phipps sustainability efforts have received awards from The American Institute of Architects Committee on the Environment, the American Alliance of Museums, the Institute of Museum and Library Sciences, and many others. View a complete list at phipps.conservatory.org/awards. "Being Less Bad Is Not Good Enough Anymore." Public Garden, May 2017. 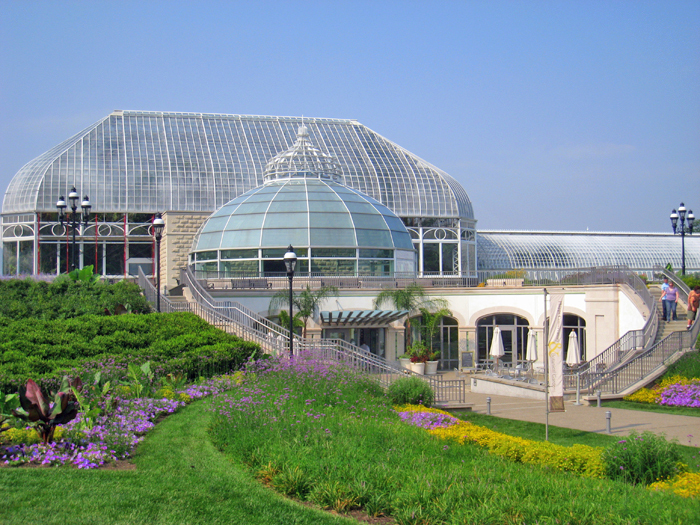 "Over 1,000 Households Convert to Green Renewable Energy with the Help of Phipps Conservatory." American Public Gardens Association Blog, July 2017. "Phipps Conservatory Wants to Reward You for Going Green." NEXTPittsburgh, February 2017. "The Museum Sector and the Paris Agreement." American Alliance of Museums, Alliance Labs Blog, July 2017. "Taking Action on Climate Change Now." NEXTPittsburgh, October 2017. Make the Switch at Phipps! Phipps Conservatory leads the charge to support climate stability, one household at a time.